How can I Share Reports with Parents? 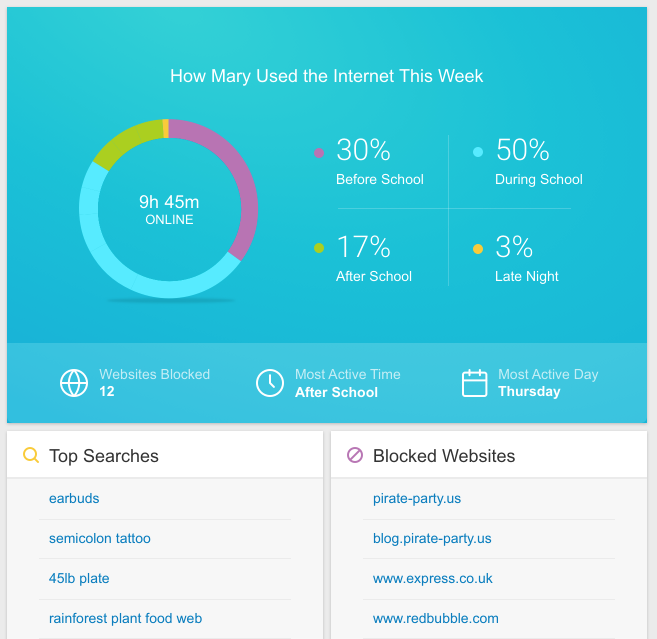 When enabled, Relay sends parents a weekly report (on Sunday) of their student’s web activity. This report includes the student’s usage percentage, top searches, top websites, blocked websites, and daily time online. Learn more about setting up Parent Reports in our Relay documentation.